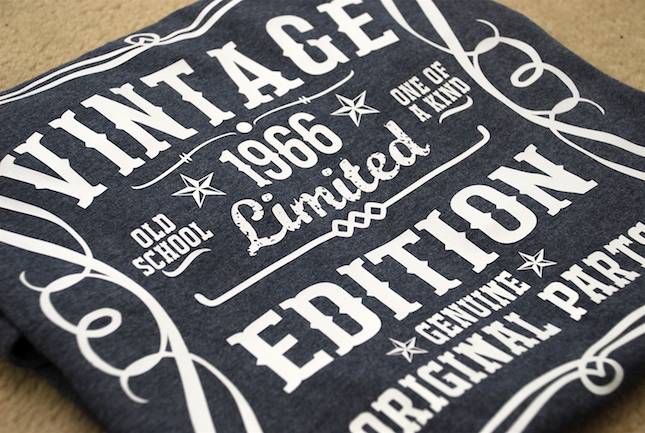 I'm excited to share this fun t-shirt design I created for my husband's 50th birthday at the end of July. 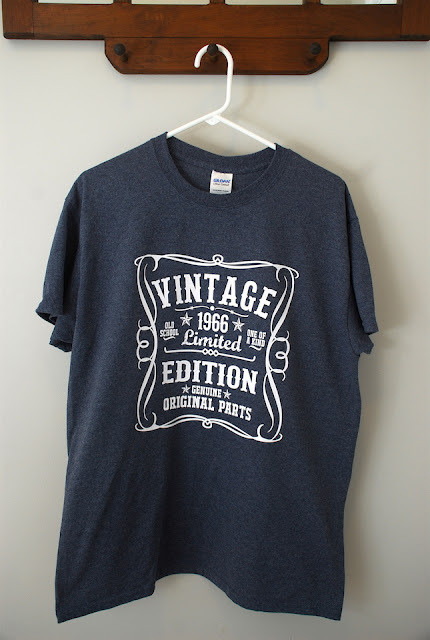 I'm planning a surprise party for him and I thought I'd make him a fun shirt to wear that night. I saw a similar image on Pinterest so I thought I would try to create a design just like in Silhouette Studio. 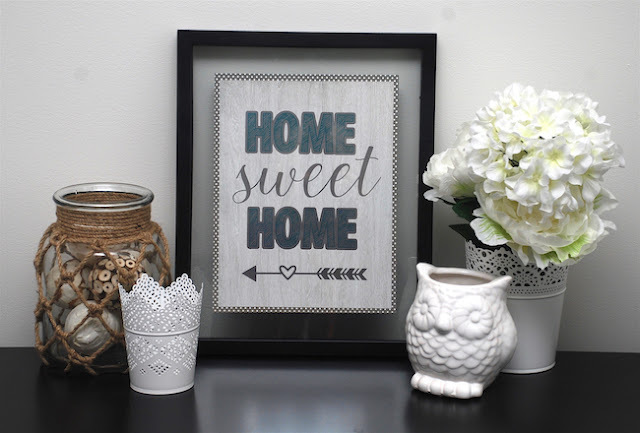 I found this fun vintage like swirly frame (Flourish Bracket Frames) in the Design Store and it was perfect. And of course, the vintage style letters called LD Petticoat Black and the distressed look of SNF Cheer Squad helped to create the look I was going for. 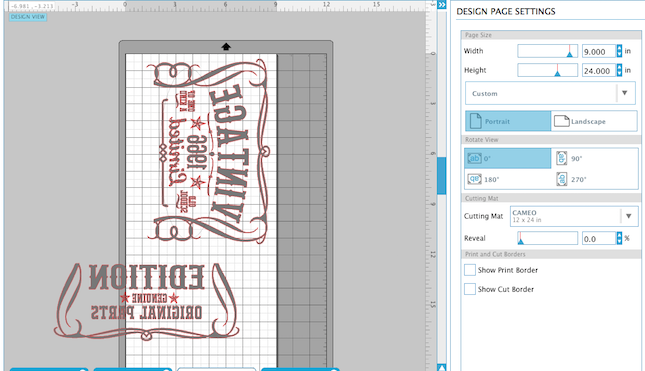 Now the heat transfer comes in two sizes - one that is 9" wide and the other is 12" wide. I only had the 9" wide one on hand so I had to play and alter my design a little bit before cutting it out. 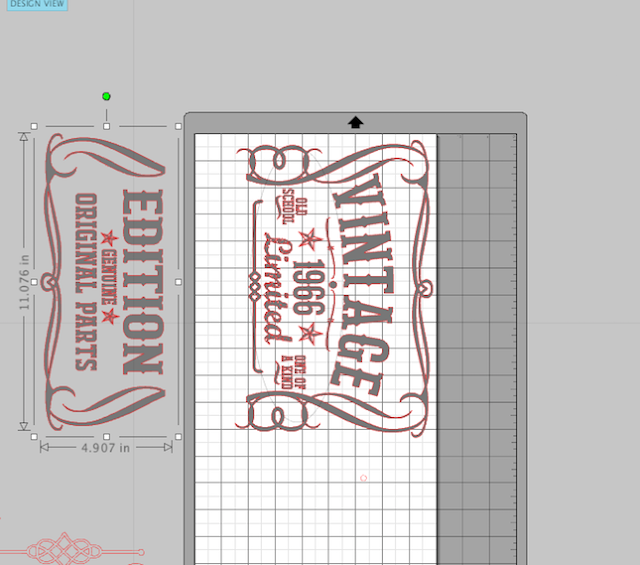 So I first rotated the design 90 degrees. I then flipped both pieces of the design to create a mirrored image. 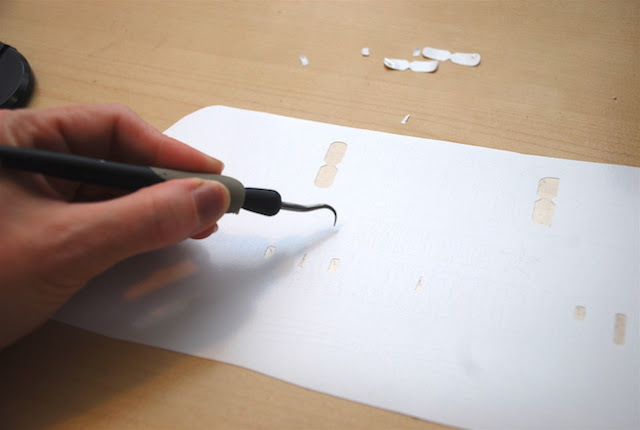 You MUST remember to do this when using heat transfer material. Now I was ready to cut it out! After the design was cut out in two separate pieces I had to weed out all of the unwanted sections. Here's a look at what the two weeded pieces looked like when I was done. 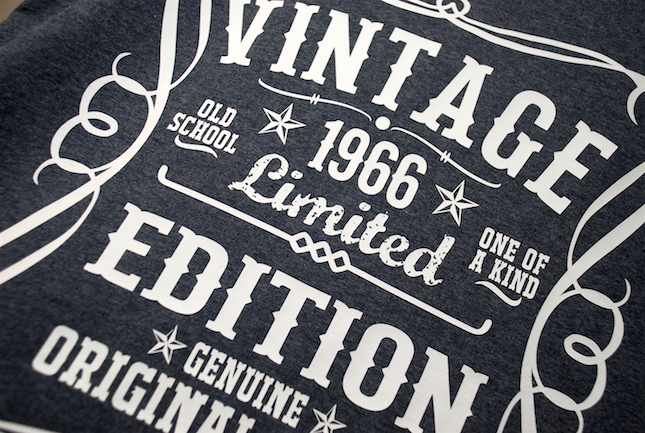 Once you placed the design into place cover it with a cloth. I just use a clean tea towel. Set your iron to the heat suggested on the heat transfer instructions. I usually set mine to linen (the hottest that my iron will go). 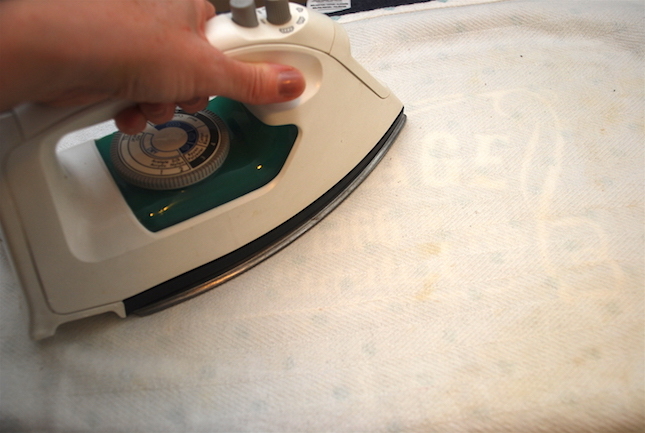 You can hold the iron in place over the design for 4-8 seconds and keep moving it around. I find that patience is a HUGE challenge for me when I work with this product!! I'm just so eager to see the end result that I get excited and want to see if it's ready yet. When you think the heat transfer material has been transferred onto the fabric carefully begin peeling away the plastic layer. 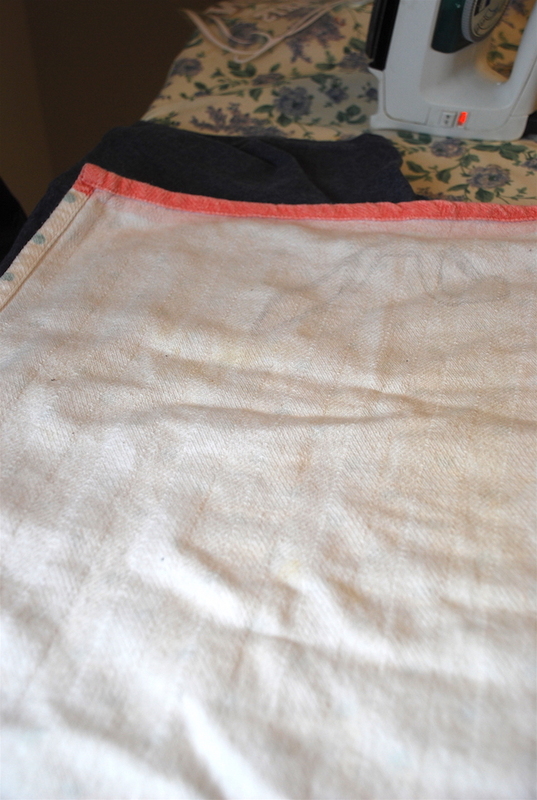 I suggest doing this slowly as sometimes the heat transfer isn't always on the fabric and you will need to keep ironing until it has completely adhered to the fabric. If you take it off too quickly you can tear the heat transfer or even make it wrinkly and lose the shape of the design. Trust me ... it's VERY disappointing when this happens. I speak from experience! When I had finished ironing on the first top section I then lined up the bottom piece making sure that the edges of the design matched up perfectly! Then with great anticipation I lifted off the tea towel and saw the amazing design! Here's a couple close-up shots! I'm so excited to give it to my husband and, of course, throw him a surprise party!! I'm really hoping he doesn't figure it out before then! So please remember ... shh!!!!!! 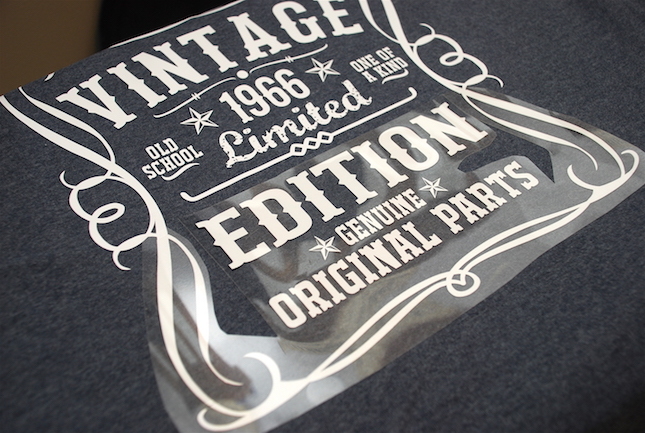 I thought I'd pop on here to share a couple more projects that I've been working on for Silhouette America. This layout I created using the stipple feature on the Curio. This machine has so many awesome uses and I'm still exploring them all. Stippling is when you create a design with dots. I created the globe design on this layout using the stipple feature. 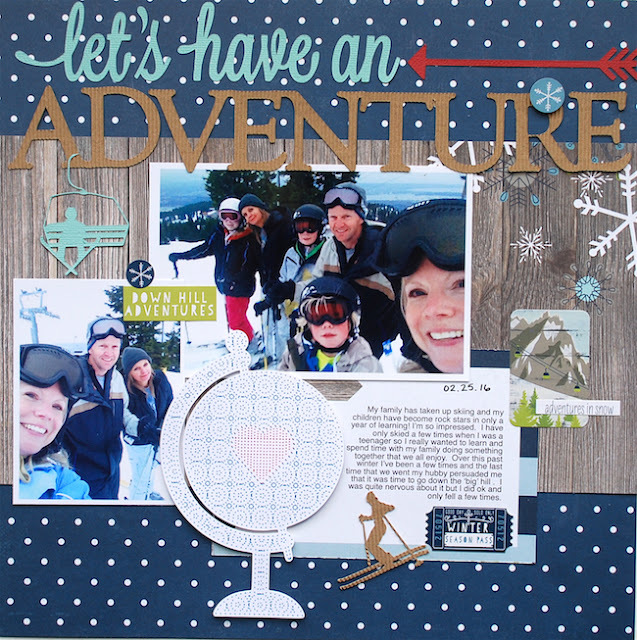 Hop on over to the Silhouette blog and check out my tutorial on this fun feature HERE. 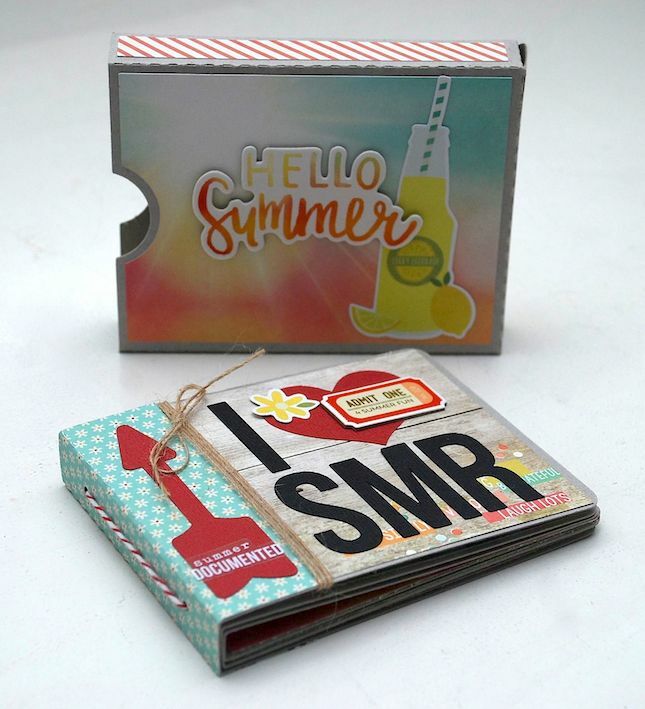 Another project that I've done recently for Silhouette is create a multi coloured stamp using the Mint stamping machine. I love this little machine. First of all, because it's just so adorable and secondly it's like magic is happening right before your eyes. It amazes me how this little machine can create a stamp in a matter of minutes - if not seconds! The ice cream cone image is the stamp that I made. 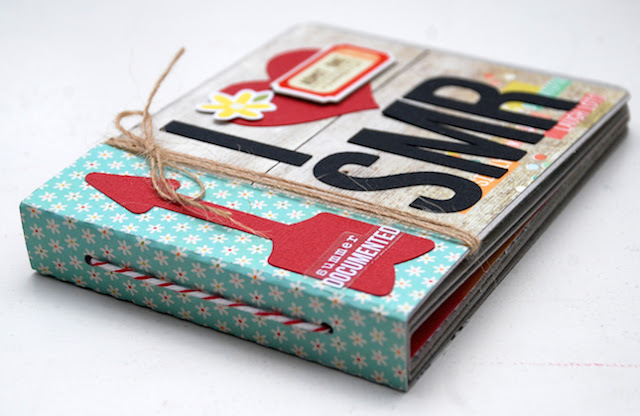 I have a full tutorial on the Silhouette blog for creating this stamp and the background paper for my layout. Click HERE to read all about. 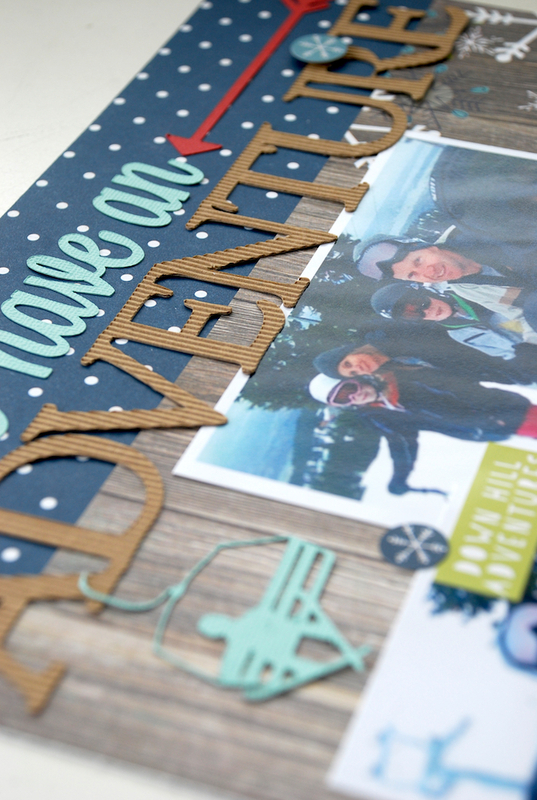 I also used some kraft corrugated paper from Silhouette - I love that stuff. The added texture and dimension is so fun on a project. This Friday I'm sharing another fun project on the Silhouette America blog . 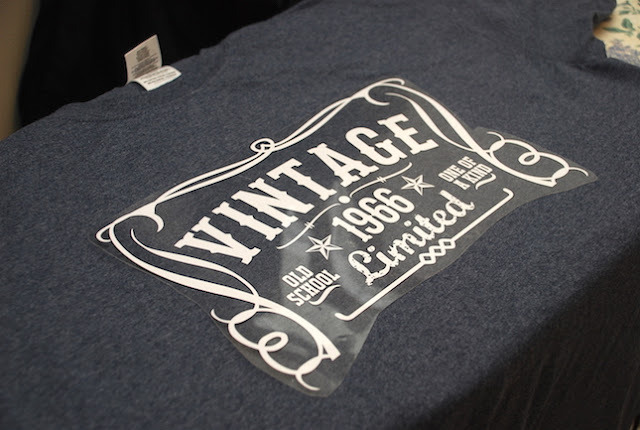 I used the Silhouette UV Light Sensitive Fabric Inks. Super fun!!! So I'll hope you'll stop by & check it out! This is our 2nd week of Spring Break here and I've been thoroughly enjoying the break from work. Just hanging out with my kids, spelling in and prepping signs (for Branches of Grace Designs) for an upcoming May fair - the weekend of Mother's Day. Hopefully my local peeps can stop by and check it out! Anyways, thanks for stopping by today and hope you have a great week!! I'm so excited to share this news with you!! I've been selected for the Silhouette America 2016-17 team!! You can hop over HERE to check out all the new design team members. It's an amazing team and I'm super excited to get to know these talented ladies!!! Just popping in to share some more creations that I've been making over the last little while. 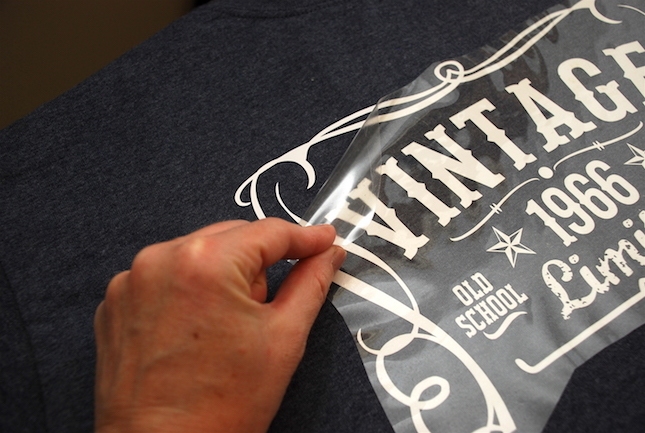 This past week I shared a tutorial HERE on the Silhouette America blog on Printable Foil. 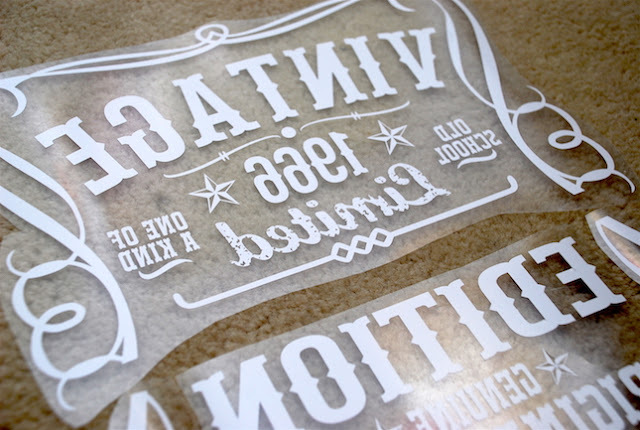 Printing on this foil has a beautiful effect and it works so nicely too. This past month I created this pillow cushion with a fun heat transfer design. I love how it turned out. 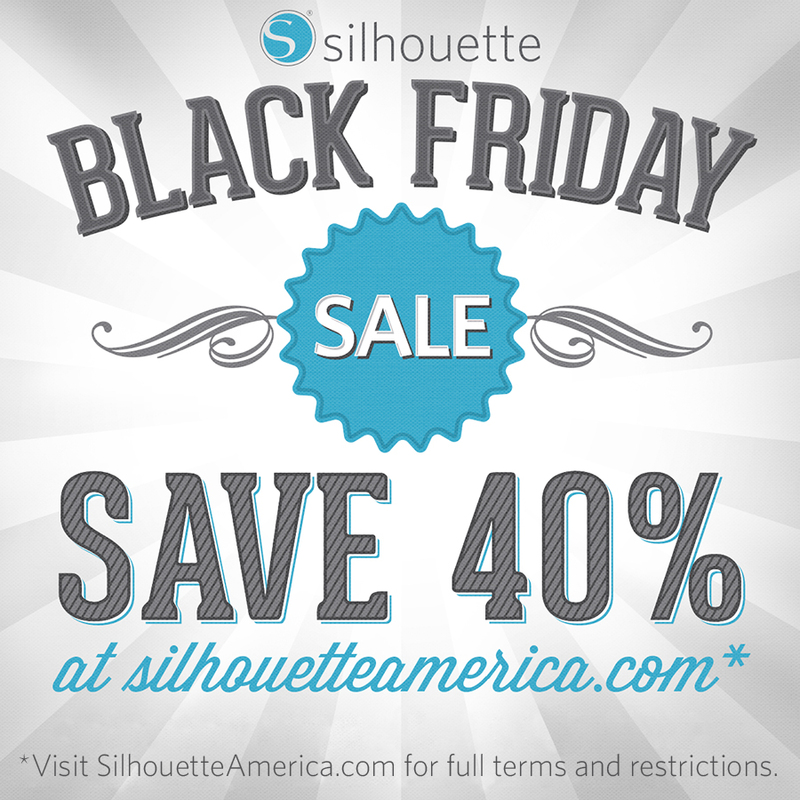 You can read all the details on the Silhouette America blog HERE. 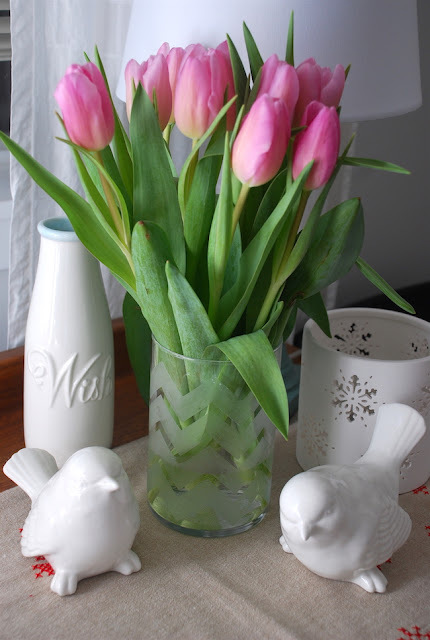 This fun project I used some etching cream to make my own design on a glass vase. It's super fun & really easy to do. Check out my tutorial on the Silhouette America blog HERE. 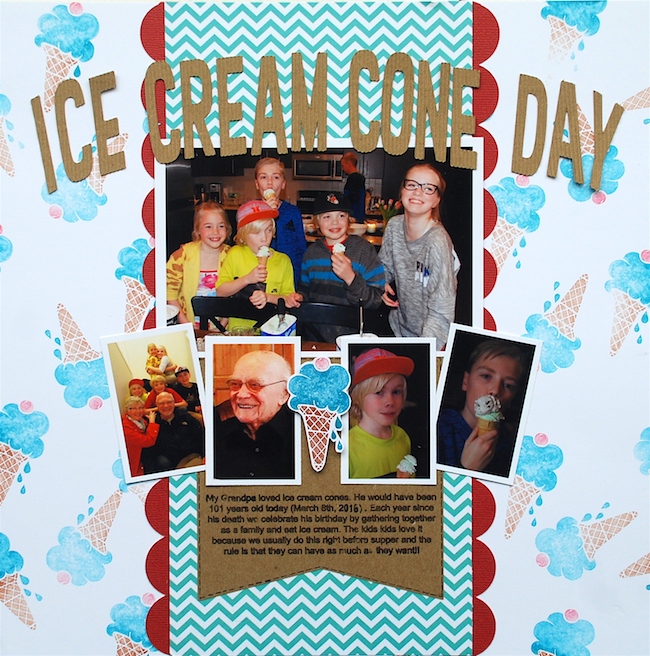 Here's a layout that I created using the Print & Cut feature on yardstick and vellum. I love that I can create a page using no patterned paper - it's all strictly my Silhouette CAMEO that does all the beautiful work!!! 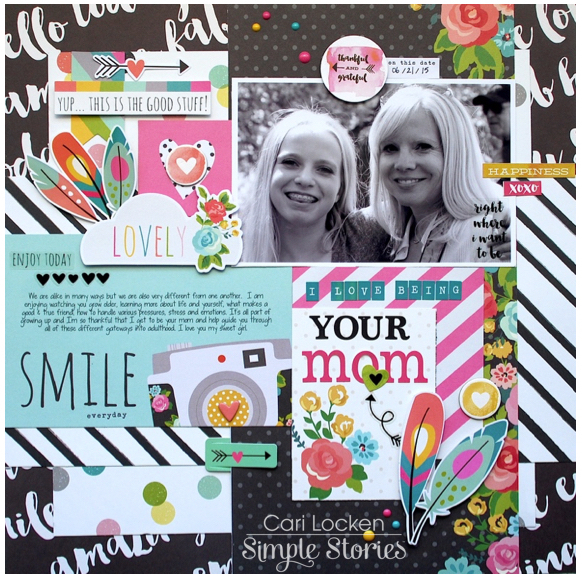 Check out my tutorial for this layout on the Silhouette America blog HERE. 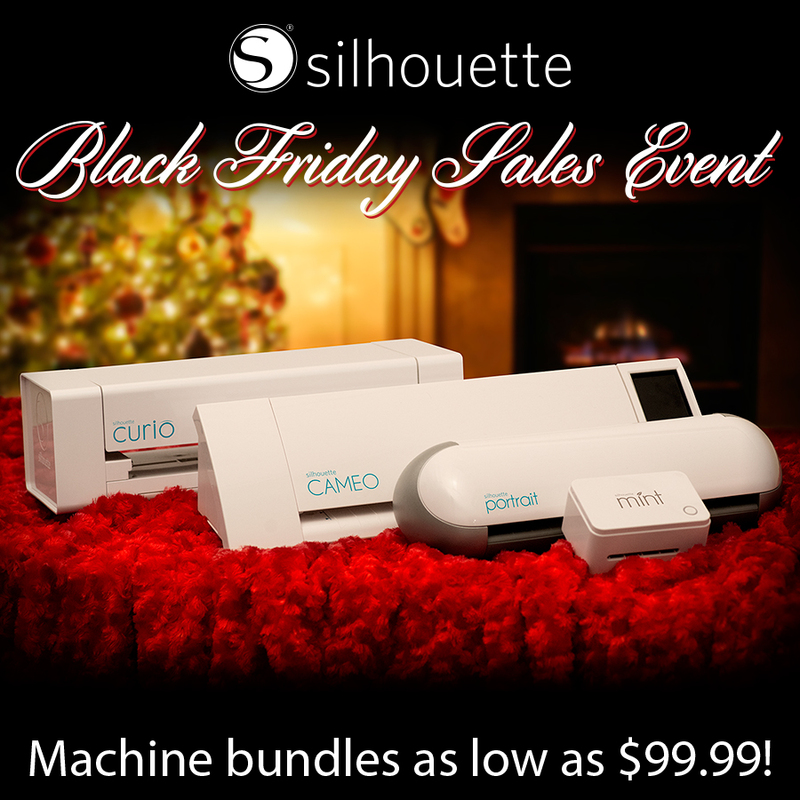 Have you seen the Silhouette Mint (stamp maker)?? First of all this little machine is so cute and secondly it's so easy to use & to create your very own stamps!! 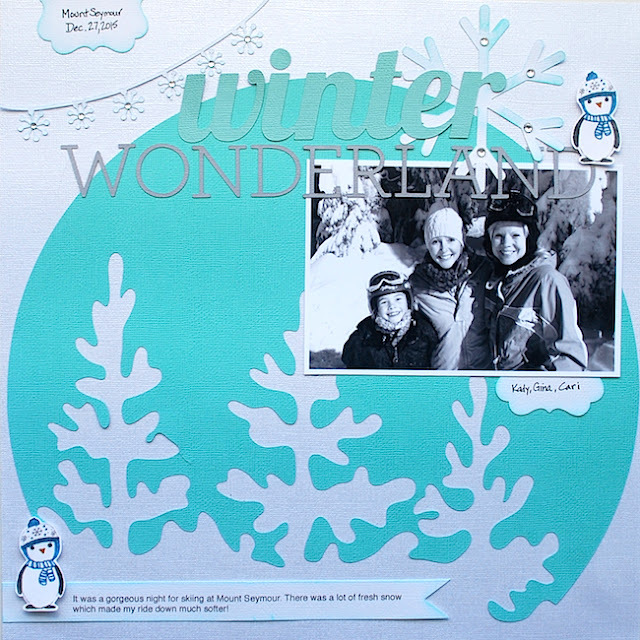 On this layout I used a snowflake design as my stamped image. 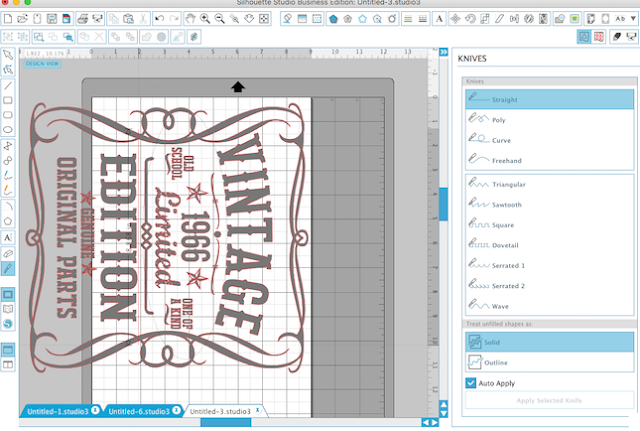 Click HERE for the tutorial on the Silhouette America blog. January was my final month designing for Simple Stories. I loved working with them for the past several years. They keep coming up with so many beautiful & amazing products. Here's a couple of layouts that I designed for CHA this past January. 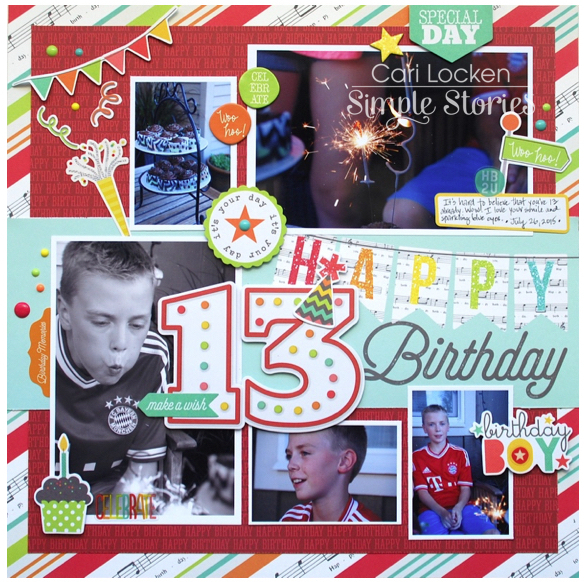 This first one is using the Carpe Diem collection and the second layout is using Let's Party. Thanks for stopping by and checking out my work!! I'm off to do some more creating & I hope you have a fabulous weekend. Wow!!! 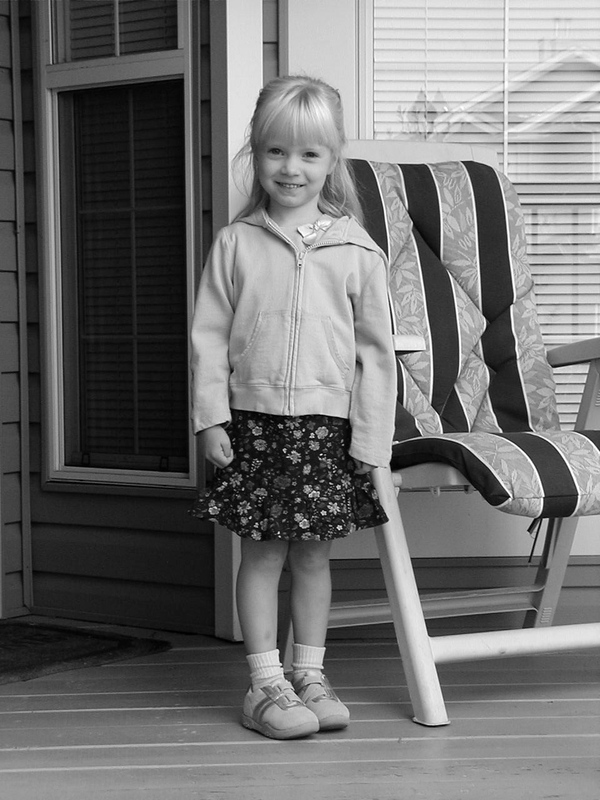 Where has the time gone!! I'm a pathetic blogger!!! I can't seem to keep up with this at all anymore - too many other things keeping me busy. Before christmas I was busy with school and our big Christmas concert. Plus I started creating some signs so I had a few markets to go to and extra orders for friends to do. Kept me busy but I enjoyed it. I'd love to share some projects with you. I was going to share a bunch of christmas/holiday related things but that's kind of over now so I'll just share a few things that I've been working on. These are projects that I created for Silhouette America. I love creating for this company!! Love it!! 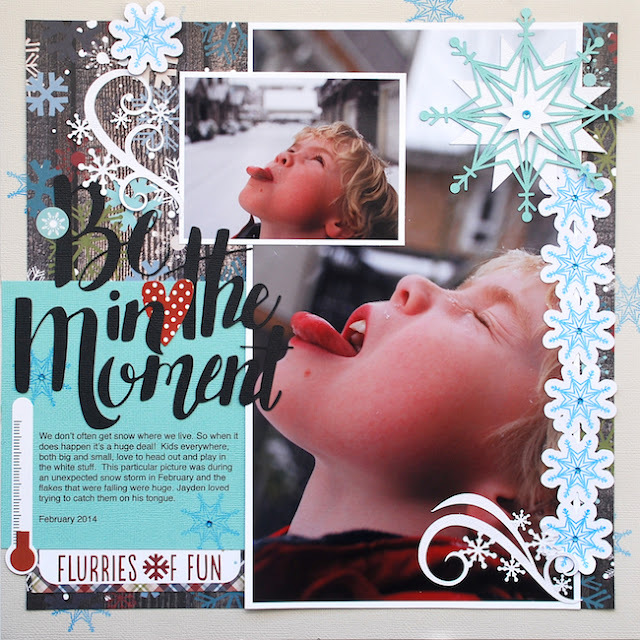 This month I challenged myself to use the Silhouette MINT on my layouts. 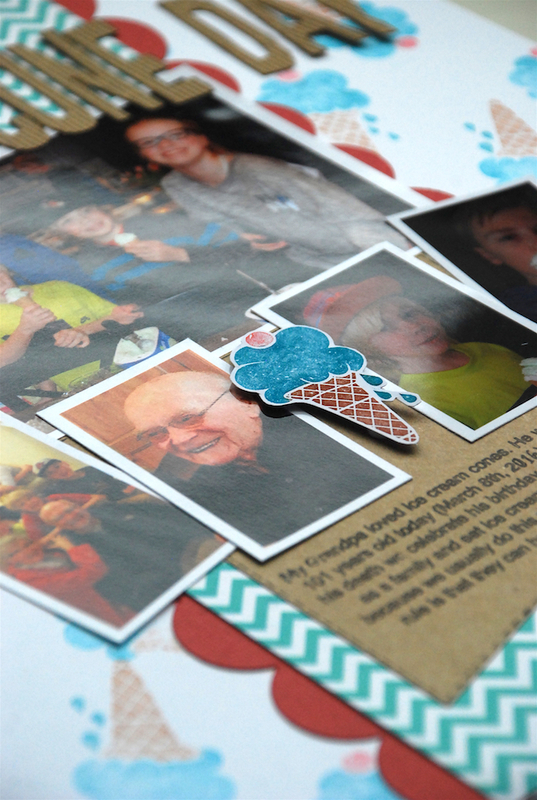 It was so fun to create stamps that I can use over and over for years to come!! That little machine is incredible. 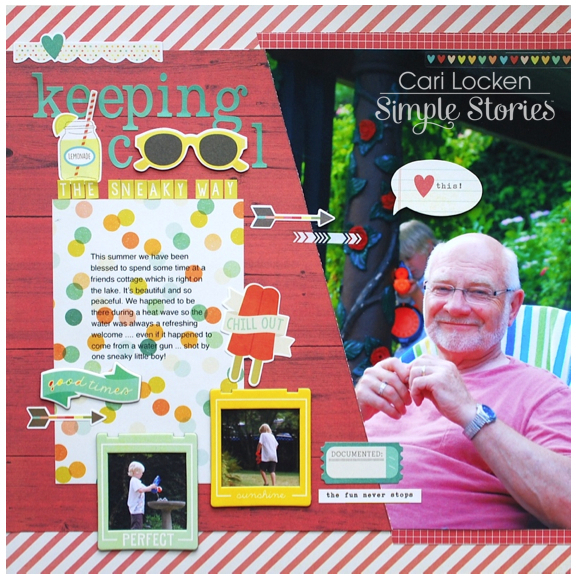 Each of my layouts that I shared on the Silhouette blog have a full tutorial as well. I'd love for you to pop by and check them out!! If you haven't seen the MINT in action or don't know about it then these tutorials will be very helpful. Click HERE to read my tutorial. On this layout I used a stamped image of a cute little winter penguin. I was thrilled with how this layout turned out and couldn't wait to share it. 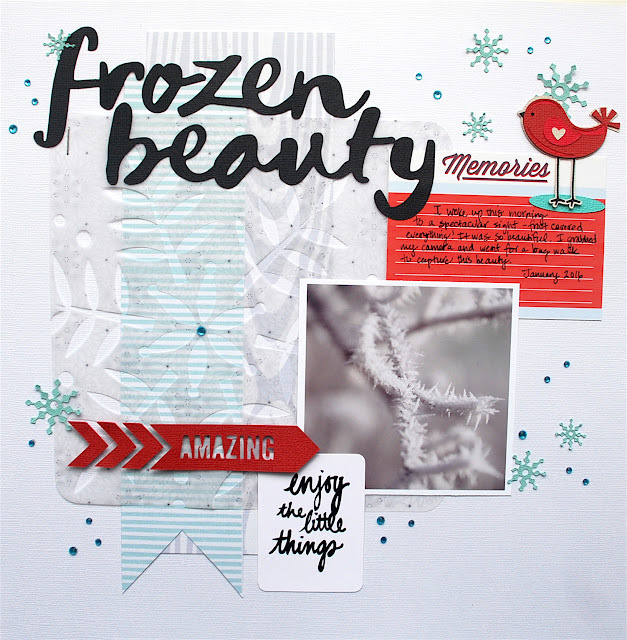 I used the FREE shape of the week (which was a snowflake design and card base) to create a stamp design. 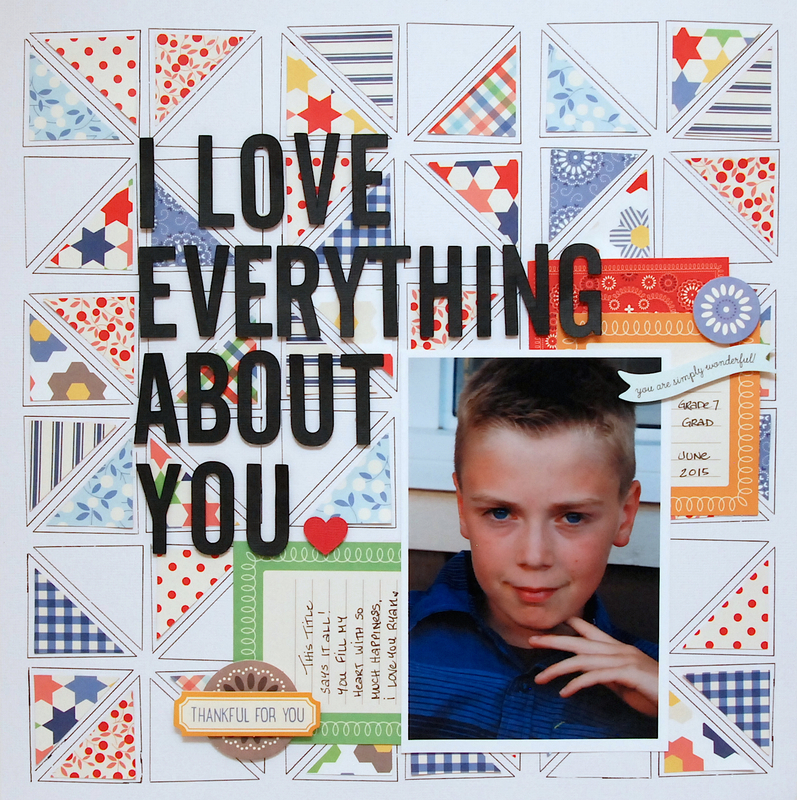 A full tutorial is posted on the blog HERE for this layout below. I used a stamp design (which I altered & changed up a bit) to create the background design of my layout. Again, there's a full tutorial on the Silhouette blog. 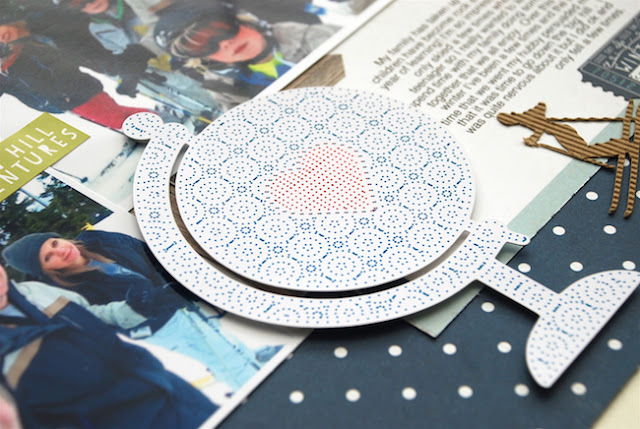 And ..... here's a sneak peek of something I'm sharing this Thursday on the Silhouette blog. Another layout and another full tutorial. You won't want to miss it!! Silhouette America Black Friday DEALS!! 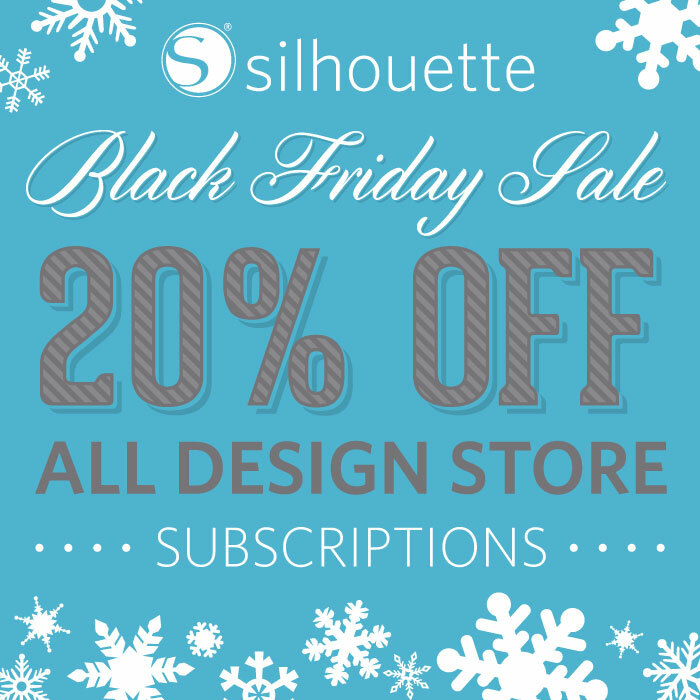 Ok my fellow Silhouette lovers!!! 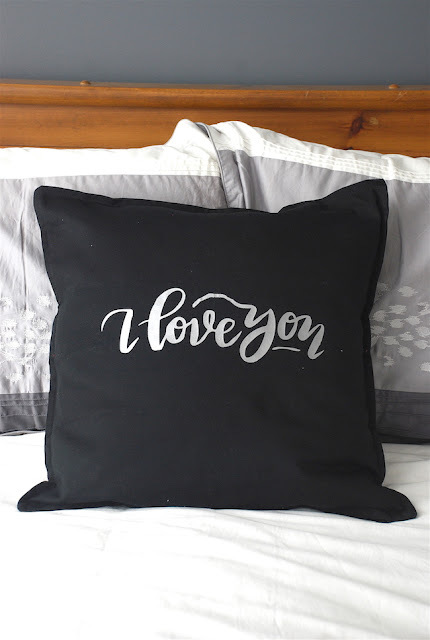 This post is for you!!! Silhouette America is having the most amazing sales on right now . Black Friday deals are happening right now!!! And you don't want to miss out on the amazing opportunity to stock up on all of your favourite items OR better yet ... get yourself an early Christmas present!!! You can get these deals by using my promo code BLACK when you check out. That is where you will enter the promo code. MAKE SURE TO ENTER THAT CODE otherwise you will note receive the discount!! Here are all the amazing deals! - Free Shipping on orders over $50.00 (Free shipping for orders over $50.00 ends December 4th, 2015 and is only available to the contiguous United States). Lots more bundles featured on the site!! So make sure to hop on over and check it all out!!! I've been neglecting this blog for quite some time as life just takes over sometimes. Too many things to do and remember and this mama brain can't do it all anymore. So I'll just try to catch up when I can. Life is going to start to get crazy in a couple of days so I'm prepping myself by trying to get ready. I've had a great summer with my kids and I'm truly sad that they have to go back. Perhaps part of that is that I have to go back to work too!! Haha!! But it's all good. Routine is good and even though they say they aren't looking forward to it - they really are. Here's some layouts/projects that I've shared online just recently. Here's a layout I created for Silhouette America using the free shape at the beginning of September. (check their blog for more details). 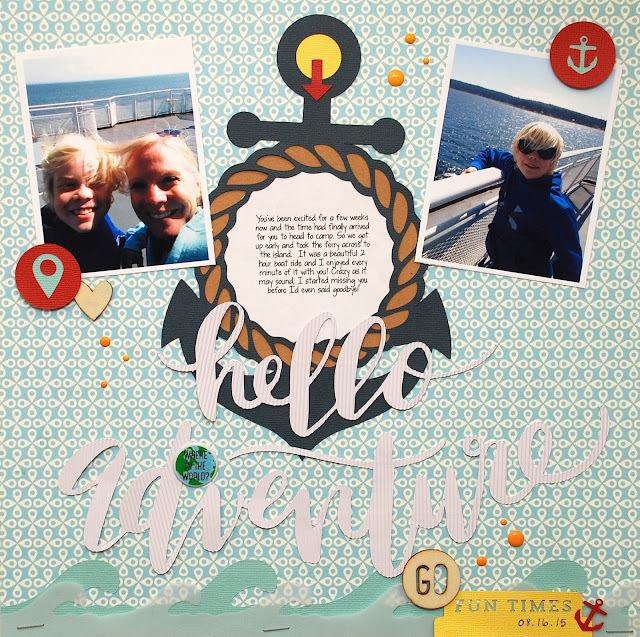 I created this mini album (more pics are posted on the Silhouette America blog) from our time together this past summer. I'll have more to share again this month. Plus I've been working on some other projects that I hope to share with you later this month. So stay tuned!! Wow!! I can't believe that our summer is coming to an end. Just a few more days and the kids go back to school. All getting older and entering new grades and some new schools. Lots of changes this year, that's for sure. today is the young lady's 15th birthday!!! I can't believe how time has flown by!!! I love you girl!